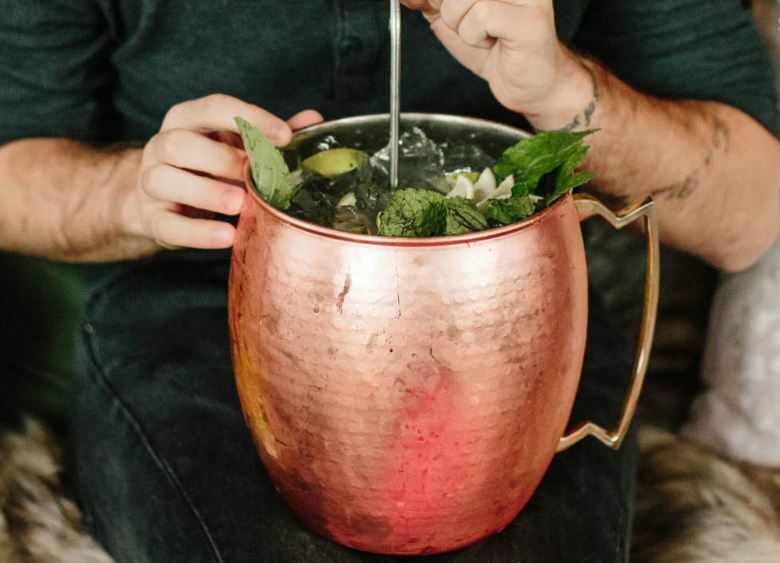 Here’s Where You Can Get Your Hands On A Giant Moscow Mule. Good luck picking up this 10-pound drink with just one hand. If Moscow Mules are your go-to summer cocktail, you’ll be excited to hear that two rooftop bars in New York City are serving a 164-ounce version this summer that weighs — get this — 10 pounds. Just take a look at this thing of beauty, which comes in a massive copper cup. Previous articleAdvertise Your Vodka on an Real Iceberg? Next articleRedneck Riviera Branded Spirits – Eastside Distilling (ESDI). Volume Alert. Long Island Iced Tea (LTEA).